Good Evening everyone! Hope you enjoyed your weekend, I am always sad to see it go and I know I am not alone. My weekends are very low key, I usually just relax, organize and cook. From time to time, I meet up with friends and do something fun, but for the most part I have tried to slow down a lot and actually rest. Anyway, here is part two in my decanting series, all about the kitchen. Did you see part 1? If not, you can find it here. I think there are so many things that you can decant in the kitchen, especially dry goods, but also non-food items as well. Today's post is focused on glass decanting - I actually prefer glass over plastic. To be completely honest, I feel like all the posts I see these days look the same. Tons of plastic in these massive pantries with labels on them. Don't get me wrong, I love the look! But I don't think everyone's home needs or should look the same. Your home is a reflection of you, so be creatively organized and don't follow the herd! OK, I am off my soapbox. So why do I prefer glass? Well, for one, it just holds up better. Its easier to wash and doesn't yellow the same way plastic does. 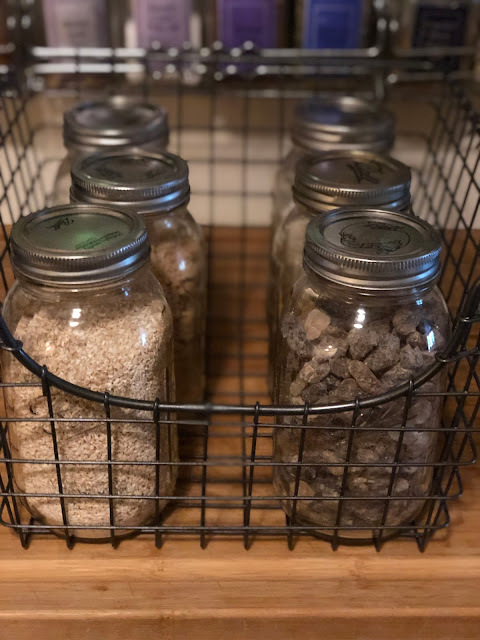 I also like that I can recycle glass jars that I have through other products I buy (I do this all the time with my Victoria Gourmet spice glass jars). 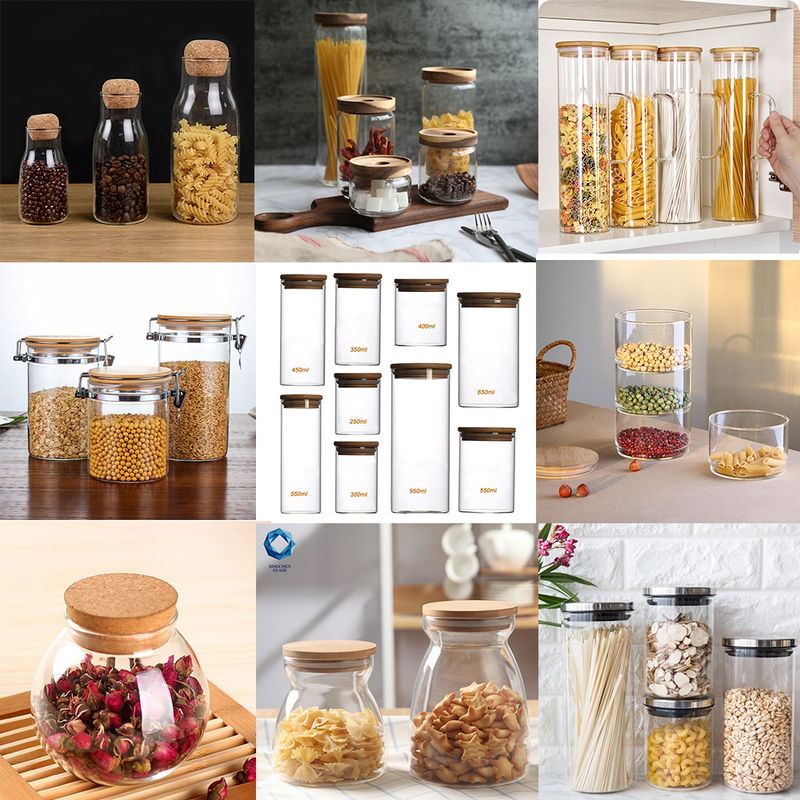 I also find that glass canisters or jars come in a lot of colors and styles, they are much more interesting to me than plastic. Check out my pics below and product recommendations and let me know if you have any questions. As always, thank you for reading and following along, I hope that my suggestions inspire you to get your space organized. 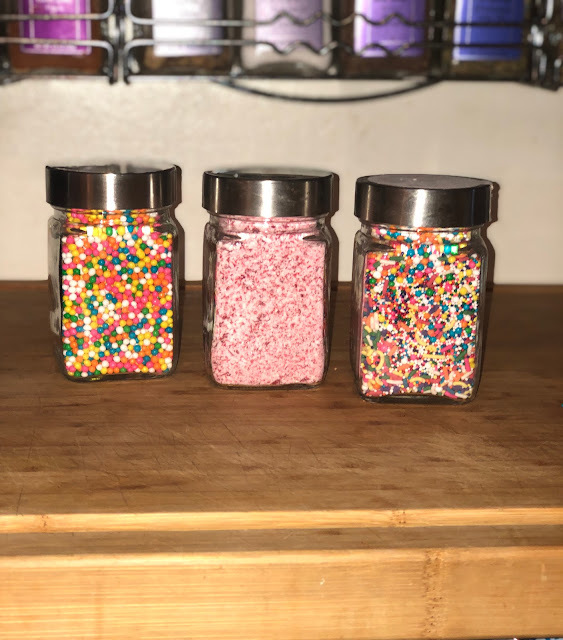 Here are my sprinkles decanted in old Victoria Gourmet spice jars. I take the labels off the jars by soaking them and wash and dry them thoroughly. 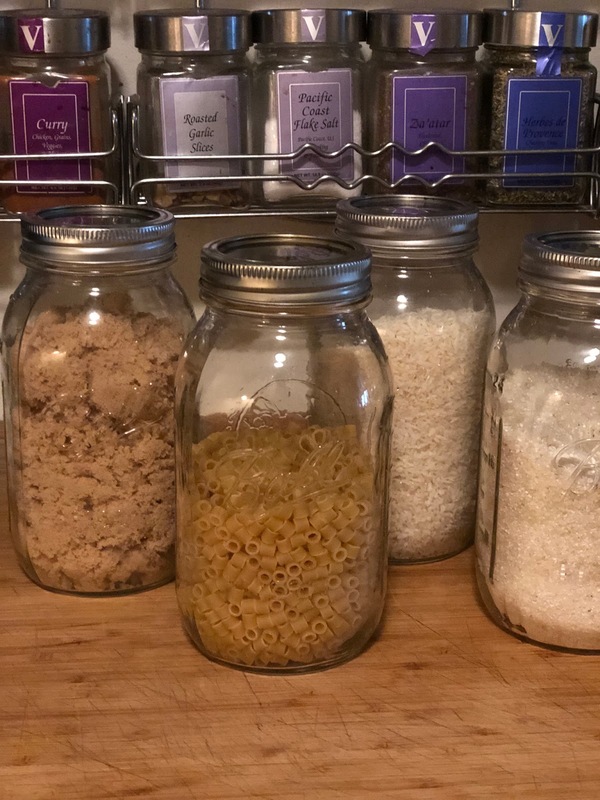 I love these glass jars from World Market, you can find them here. 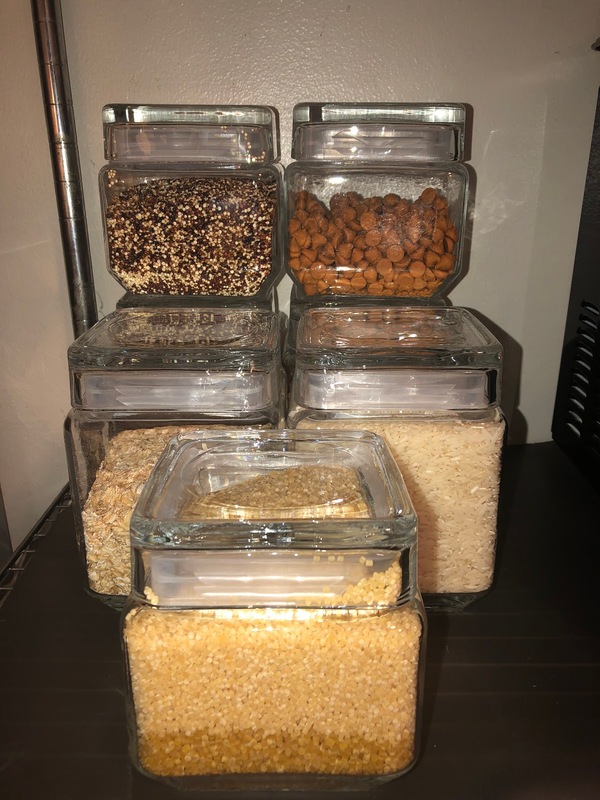 Here are the World Market glass jars I linked above, I replaced the plastic Ikea containers. I find that plastic can get dirty in the kitchen, especially white plastic and rubber. Here is the before picture, with the plastic Ikea containers. I much prefer the glass canisters. Next I use mason jars - I absolutely loveeeee them! These are the traditional Ball mason jars, that I found at Target. You can find them here. 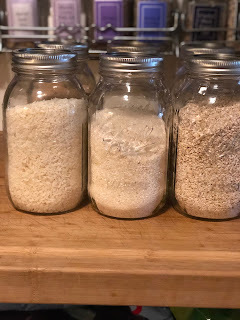 I have dried coconut, steel cut oats, and grits in these first 3 jars. I have pasta and brown sugar in these other 2 jars. It makes cooking so much easier because I can just reach for a jar and measure out the desired amount. I don't need to fumble with boxes and packaging. This last jar has Teavana rock sugar that I use to make tea! I placed the jars in this wire basket, that way they don't slide all over the shelf. We have metal shelves in the kitchen because we don't have the cabinet space that most apartments have, therefore some clever storage was necessary. If you're interested, check out my post here. If you are looking for some more options, check out this post on the Kitchn website here - they have 30 different links for glass jars!